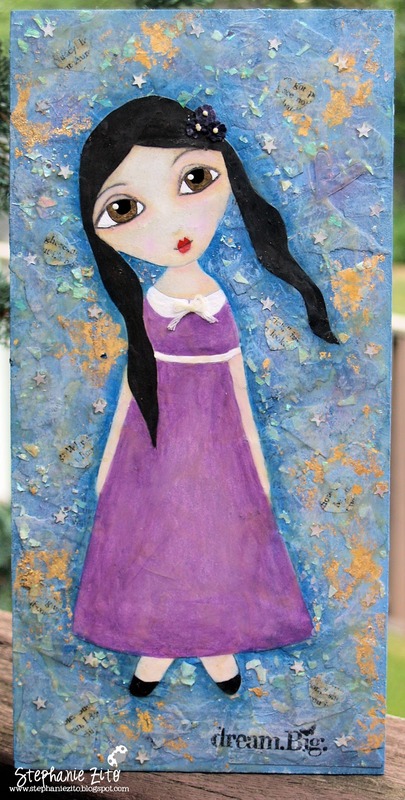 I finished these two Petite Doll mixed media paintings a while ago but completely forgot to post them. I made them after taking Suzi Blu's Petite Doll self-guided online workshop! I plan on hanging them in the girls rooms (pink for Isabella and purple for Alexandra).